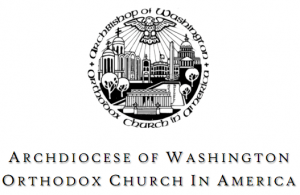 In our own lifetimes we were blessed by an act of prophetic witness in July 1992, when the Holy Synod of Bishops of the Orthodox Church in America issued the magnificent “Affirmations on Marriage, Family, Sexuality, and the Sanctity of Life.” Two decades later we Orthodox who live in the diocese that includes our nation’s capital city need to be reminded of some of the moral verities contained in the Affirmations. It should be obvious to any attentive observer that those verities are under increasing assault by the intellectual, social, and cultural elites in this country—and even by many of our public officials, particularly in the federal government headquartered here in Washington, DC. More alarming is the erosion of those moral verities within some of our Orthodox congregations. The dire need to preserve and protect the sanctity of human life from the moment of conception has been the focus of the annual encyclical of the OCA primate for Sanctity of Life Sunday each January for many years. I wish to remind you, in the prophetic spirit of the apostles, that the Holy Mystery of Matrimony and the moral limits of human sexuality are ancient traditions of the Church not subject to whatever winds of change may be blowing through our society at the moment. Our life in Christ is constituted by repentance. If we are to be faithful Christians, we must be constantly turning toward God, away from our sins and passions, realizing the seriousness of our sin in a spirit of repentance, and striving to change our lives. We cannot approach the Holy Mysteries without living a life of repentance, and examining our consciences and confessing our sins. When we have fallen, we repent, and try to stop our sinful behavior. Otherwise, we risk communing unto judgment and condemnation. This discipline of the Christian life leads to salvation, enlightenment and the healing of our souls. We must be faithful to that discipline of life, if we are to call ourselves Orthodox Christians. In light of the above, what Orthodox Christian in good conscience would dare to approach the chalice containing the life-giving Holy Mysteries of the Body and Blood of Our Lord, while refusing to acknowledge, confess, and eradicate from his or her life sins against authentic Christian marriage, including fornication, homosexual activity, or adultery? Which sexually active couples co-habiting without the Orthodox sacrament of marriage can expect the Church to bless their unholy union and welcome them to the life- giving Holy Mysteries of the Body and Blood of Our Lord, unless they find separate accommodations and cease their fornication and get married in the Church? We are all called as Christians to live a life of chastity, pleasing to the Lord, married or single. If we are Christians we are all called, whatever our attractions or past habits, to the same saving discipline that will heal our souls. Otherwise we are living in hypocrisy, a living death; just as when we judge others struggling with their sins. This has been delivered to us from the Apostles and Holy Fathers, and remains unchanged to this day. The Orthodox teaching on chastity and Christian marriage is a fundamental element in Christian life and discipline. We are called to conform our lives to the Church and its disciplines, not alter the teachings of the Church to fit either a cultural fad or our own passions. Where we stand against the prevailing cultural trends, we must stand fast, because we know that obedience to the Church’s teaching leads us to communion with God and eternal life; and disobedience leads to alienation from God, spiritual death. As the Lord proclaims in the Gospel of St. Luke, “Every one to whom much is given, of him will much be required. . .” (Luke 12:48, RSV). We Orthodox Christians have been granted eternal life as a free, unmerited divine gift. Virtuous struggle against sexual temptations is hardly too much for the Lord to ask of us. The Lord honors the genuine intent of those who, with humility and repentance, so struggle, even as He judges those who, moved by a spirit of pride and defiance, persist in the spiritual delusion that unnatural or unholy sexual activity can be blessed. I have already instructed the clergy of our Archdiocese to honor their ordinations by acting in full accordance with our uncompromising Orthodox moral tradition. I expect all of us faithful to honor our baptism and unique calling as Christians. These teachings are not onerous, but rather, part of the light yoke and easy burden of being a faithful follower of Jesus Christ. Previous Post Death by XBox?